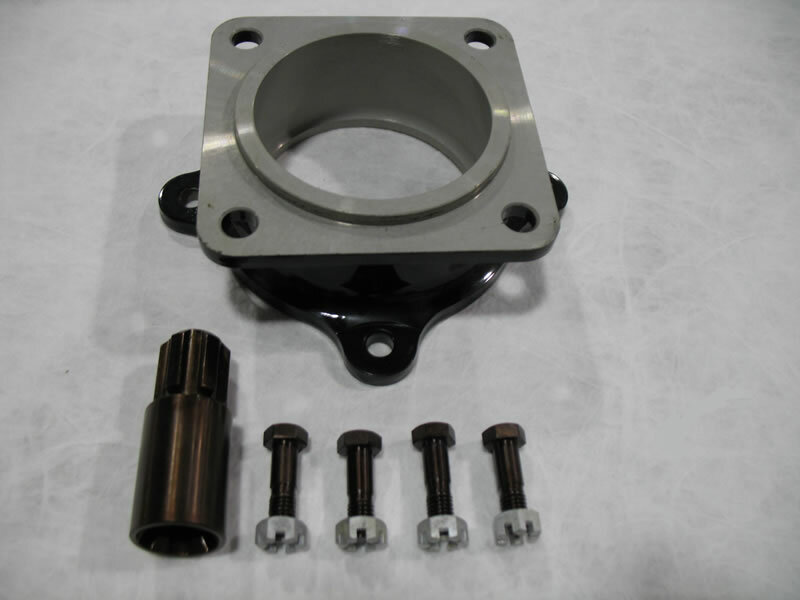 MotorstarNA is proud to announce that we now offer the SPC pistons and rings. The SPC piston kit uses a new piston design and modern technology rings. The new pistons use a 3 ring configuration instead of the original 5 ring design. The top compression ring is a plasma molybdenum ring that produces a superior seal while reducing friction. The second ring is a tapered hook or Napier design that provides superior oil control. The oil ring is also modern design that reduces oil consumption by about 1/3. The overall result is an engine that consumes less oil, more stable operating temperatures through all operating conditions. It runs smoother at idle and it starts more easily. Typically the M14-P consumes about 0.8 liter per hour. The SPC piston kits are available in standard bore size (105 mm) and R1 first oversize (.15 mm oversize). Each kit includes a new piston, 3 fitted rings, a new piston pin, two new piston pin plugs, a new cylinder base gasket, two rocker cover gaskets, two new rubber tube for the push rod tubes new cylinder nut lock tabs and installation instructions. The new piston is 34 grams lighter than the standard piston. The SPC kit includes a new piston pin plugs that are heavier to keep the engine in balance. The standard size kit P/N 14-605-22SPC is $304.00 per kit. The oversize kit is P/N 14-605-22SPC-R1 is $328.00 per kit. There wil be an additional 5% discount on orders of 9 kits. MotorstarNA will soon have these kits in stock at our Vermont headquarters. a distributor cover (from textolite or hard plastic). 1.25 (the magneto has 2.5 sparks per revolution). The gear ratio between distributor gear and the magneto rotor has to be 2.5. We did the gear of the rotor with 16 teeth (40/16=2.5). For more information, email us at info@motorstarna.com. 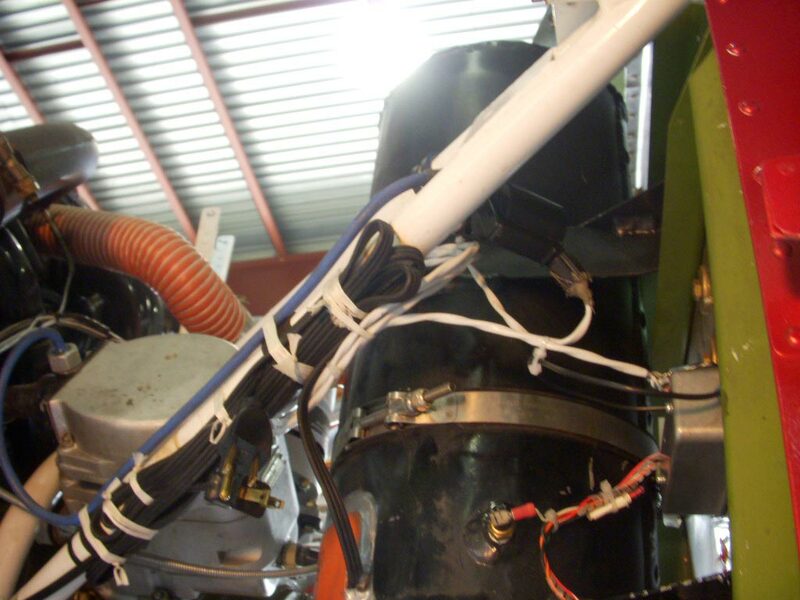 These adapters allow the installation of the Skytronics alternator on the M14 series engines. 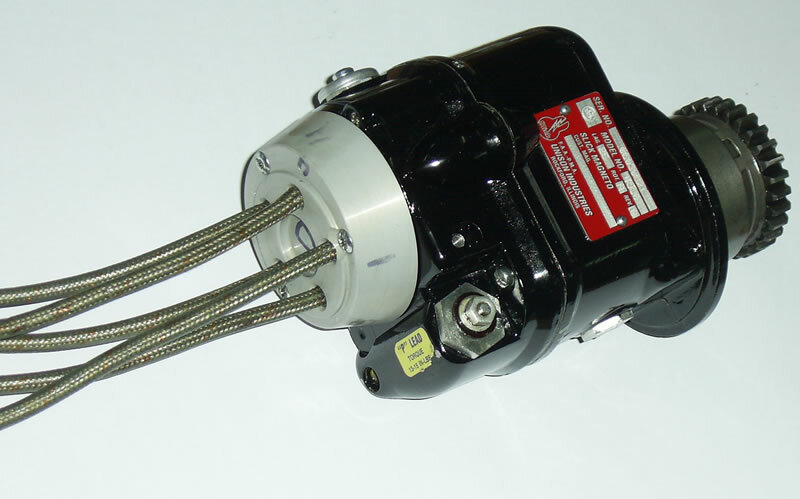 The complete kit includes the adapter shown and a 50 or 70 Amp alternator. 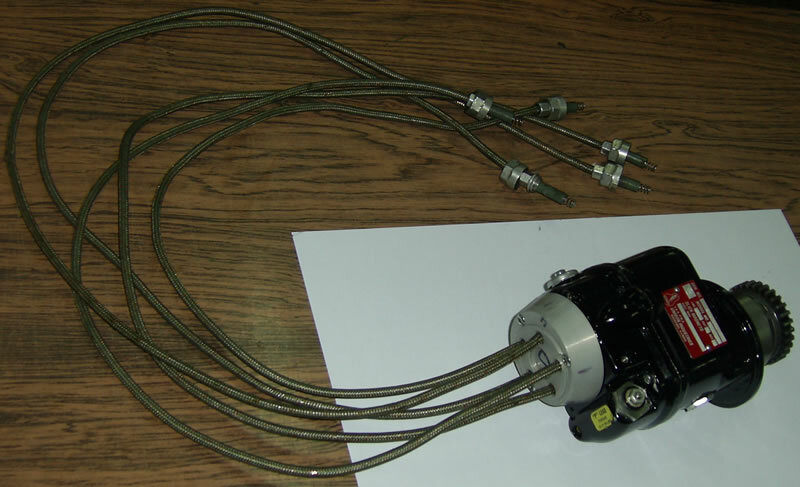 The alternators come with a solid state regulator that includes overvoltage protection. 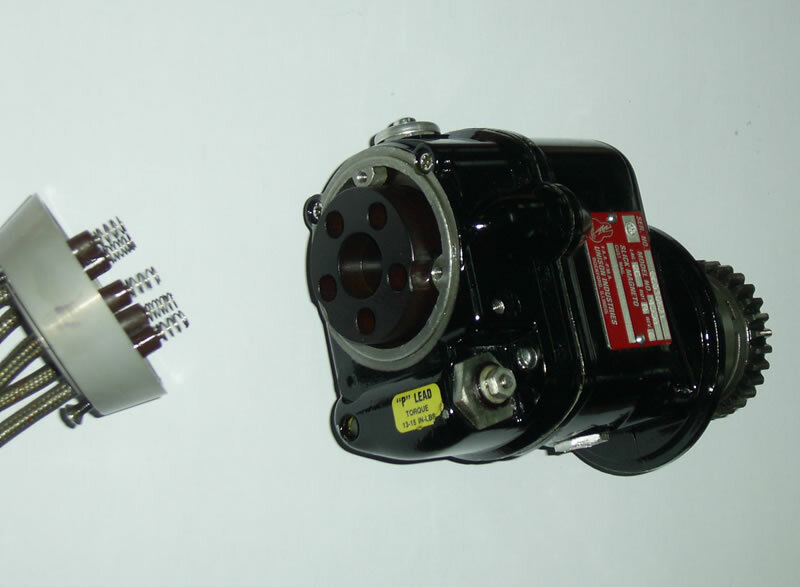 We have also a Yak-52 install kit that will replace the Yak generator, regulator, overvoltage relay and the reverse current relay. They will save considerable weight as well as make it much more reliable. Please contact us at info@motorstarna.com for details.